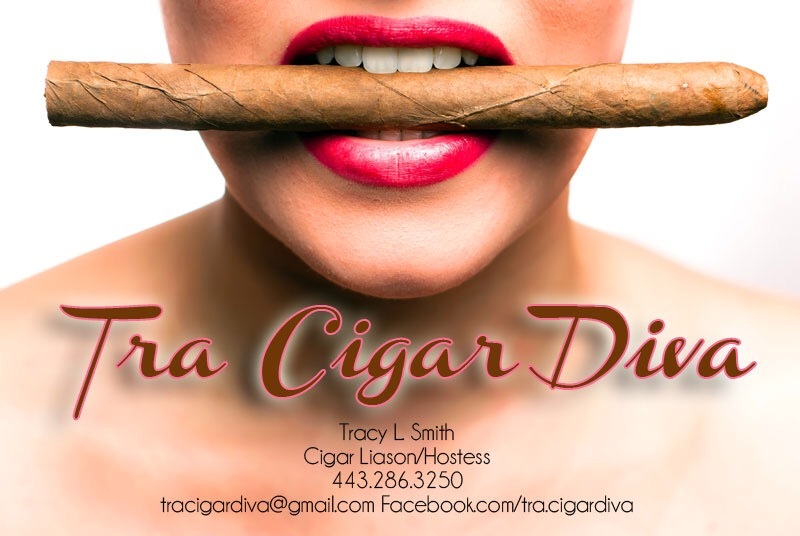 Tracy Smith is a cigar vendor and hostess. 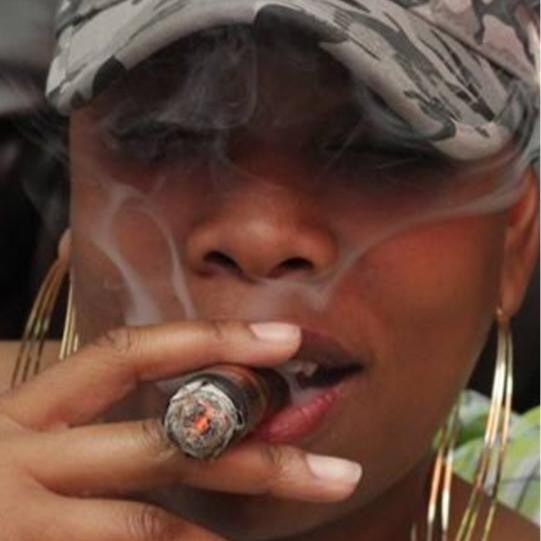 Her business name is Tra CigarDiva, LLC. 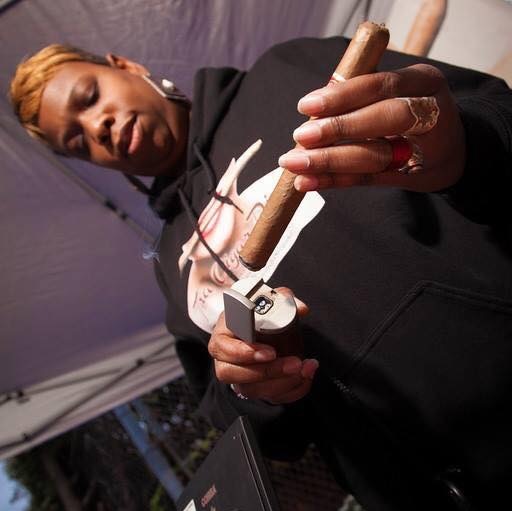 She started the business because she has a love of cigars and she enjoy introducing people to the cigar culture. She does a lot of wine festivals, wedding receptions and upscale birthday parties. I started smoking in the summer of 2009. 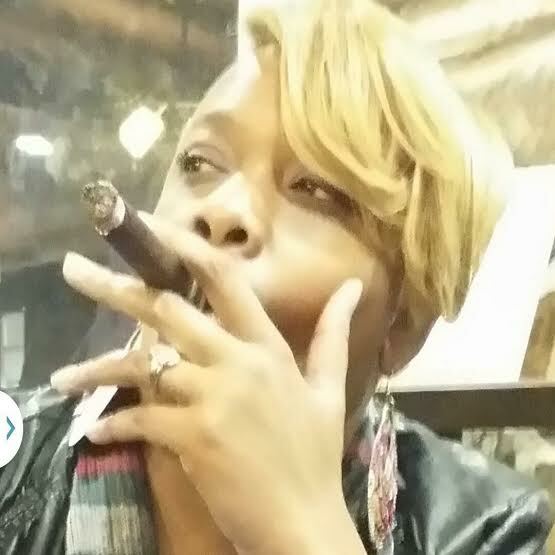 I was at a local Jazz and Cigar Bar in town named Bobby’s. The owner and I were friends and he introduced to me to cigars. He gave me a sweet cherry flavored cigarillo. It was cool but, my male friends were smoking maduros and I wanted to try them. After that I was hooked. I like the strong flavor and the bigger gauges. I used to smoke everyday and I was up to 4 to 5 a day. Now I may skip a couple of days during the week. I like to sip a nice bourbon or scotch whiskey with my cigars. Crown Royal, Basil Hayden and if I’m having a good week Pappy Van Winkle. Depending where I am and what I’m doing determines how many cigars I smoke. If it the car ride home 1 cigar. If I am going to the cigar lounge it depends on how long I’m there. I may have 2 to 3. The best place I have smoke a cigar hmmm that’s hard because it’s not the place it’s the cigar and how it makes me feel. I travel a lot and I have been to a lot of cigar lounges and have enjoyed smoking by the beach, poolside and some very nice cigar bars. However, I can be in my car listening to some nice R&B and enjoy and my stick. I use a punch on box press or chisels as well as a v-cut. I may use a perfect cut. I also been known to bite a perfect cut. When smoking I feel relaxed and it takes me on a mental vacation to where ever I want to go. Normally If I smoke it right after work in the car ride home. The cigar for me is a medium / full body with a great taste its hard to pick just one. I try many cigars. I am a cigar vendor as well so I constantly buy cigars and try them out. Currently I fell in love with the Pope of Greenwich by Drew estates they should be out the end of the April. My go to cigars are EH lancero, LFD double liguero, Nat Sherman timeless, A. Fernandez New World. Thank you very much Tracy, good ashes. One Response to "“Tracy Smith„"